NAIROBI, Kenya — Patent protection is a challenge to many an inventor in developing countries. Inventors in most African countries, for instance, are compelled to surmount huge obstacles to protect their inventions. In order to remedy the situation, the World Intellectual Property Organization (WIPO) in collaboration with the World Economic Forum has launched an Inventor Assistance Programme (IAP). Now, the local inventor community in Kenya has a few words for WIPO on how to expand the programme to make it more effective on the ground. Trust is one of them. The programme, launched on 19 October after three-year pilot exercise, is set to be expanded across the world. It matches developing country inventors and small businesses with limited financial means with patent attorneys for provision of pro bono legal assistance to secure patent protection. Under the programme, the type of assistance to be offered will depend on each case submitted. It will, however, generally consist of preparation or filing of a patent applications, support in the patent application process and correspondence with the patent offices. According to WIPO, IAP is attracting huge attention from inventors seeking patent services, governments keen to support local innovation and patent attorneys interested in assisting innovators with financial constraints. In Kenya, innovators, despite welcoming the programme, are of the opinion that WIPO working with national governments and other stakeholders should widen its support. They argue that it should not be restricted to provision of free legal assistance for patent acquisition. Robert Gichuru, who invented a business tool that is being used by shop owners to manage their shops, reiterates that Kenyan innovators like their ilk in poor countries face significant challenges apart from those linked to patent registration. In terms of registration, he said inventors while grappling with the question of whether or not their innovations are patentable, are usually afraid of going public too soon for fear that the move may expose the innovation to competitors. He noted that in developed countries, innovators do not face difficulty tackling a problem like lack of space to experiment and perfect their ideas. “Many big brands that we know today, for example Amazon,were started in home garages and basements. This is a resource that is widely available to even the most financially challenged innovator in a country like Canada for free.The same can’t be said of Kenya,” he said. WIPO, he said, should also offer support in the area of prototyping. Patent offices ask for a prototype, for example in technology, but the exercise costs money and innovators in poor countries cannot afford to undertake it, he said. According to Gichuru, the IAP should incorporate more partners to offer various forms of assistance to inventors. First, he notes it should work with marketing firms and professionals to conduct a marketing survey for innovations. Secondly, he says it should collaborate with local universities and research institutions that can help assess the innovations to determine if they qualify for patenting as well as availing resources and personnel to help innovators. Speaking to Intellectual Property Watch, Amos Nguru, an innovator in renewable energy based at the Kenya Climate Innovation Centre in Nairobi, said that IAP should assist poor nations strengthen the capacity of intellectual property protection institutions. Such a move, he said, will enable them undertake their work effectively. Like Gichuru, he is concerned that government agencies charged with intellectual property protection have failed to adequately to protect innovation. This, he noted, has contributed to foreign companies and individuals infiltrating research arms of local universities where they appropriate ideas and innovations. Consequently, he said Kenyan innovators are afraid that the patent application process at the Kenya Industrial Property Institute (KIPI), a government parastatal that administers intellectual property rights, will expose their innovations to unscrupulous competitors. “One is not sure whether they are going for protection of their innovations or exposing them,” he said. Thaddeus Lebanon Muchuma, a Kenyan inventor of a hydro pedal plane, a boat that is propelled manually without requiring fuel and has already acquired patent protection in several countries courtesy of WIPO said that he welcomes IAP but added that it should have sought to address the problem of insufficient grants for innovators. “Institutions charged with provision of grants in Kenya are not adequately supporting innovators. We are mostly left on our own,” he laments. He echoed Nguru’s view that local patent offices such as KIPI should be empowered to serve inventors and sensitise the public about the patent application processes. Muchuma is of the view that the fledgling Kenya Innovation Agency, an institution charged with managing the country’s innovation sector and help commercialise inventions, should liaise with KIPI and assess the needs of innovators in order to address them. He said the two institutions should identify inventors that require international patents and offer support. Muchuma stated that the IAP should consider offering assistance on cross-border patent protection given that it is a challenge to inventors from poor nations. “As an inventor you are compelled to deal with attorneys in foreign lands whom you don’t know and whose services are costly. I may lose my patent in Europe because an attorney has asked for Euro 700 that I can’t afford,” he said. Muchuma suggested that WIPO should facilitate linkages between pro bono attorneys and patent offices in developed nations with inventors in poor nations for easy acquisition of international patents. The Kenyan inventors who spoke with Intellectual Property Watch point out that funding is a huge barrier to the achievement of their goals. As a result, although the IAP does not offer direct funding to inventors, Muchuma for instance said it should work with like-minded intergovernmental organisations to ensure inventorsaccess funds forcommercialisation of their innovations. Similar views were expressed by Gichuru who said some inventors cannot even afford internet services and thus need assistance to access it. “Paying per megabyte is not good for innovators. Running out of data bundles in the middle of your search for that answer that you desperately need is a feeling that probably only an innovator can appreciate,” stated Gichuru. Stephen Karimi Kibiru, director, Accreditation and Quality Assurance at the Kenya National Commission for Science Technology and Innovation, said the IAP is a good idea due to a myriad of challenges inventors face in protecting their inventions. He said that although the IAP would spare inventors the tedious and demanding process of patenting their inventions, he agrees with local inventors that the country faces the challenge of enforcing laws on intellectual property. “Focus and support for enforcement of IP laws is equally needed as well as enhancing linkages between researchers/innovators and the industry,” he said. Kibiru is also concerned with the uncertainty that Kenyan inventors grapple with as they mull patenting their inventions. “We invite innovators to our annual science week, but many decline to turn up and showcase their innovations due to fears their ideas may be stolen,” he pointed out. He said the IAP has emerged at a time when National Commission for Science, Technology and Innovation (NACOSTI), a body that regulates and ensure quality in science, technology and innovation in Kenya, is considering partnering with legal experts to support inventors on patent applications. NACOSTI is keen to ensure adoption of inventions, an issue he said WIPO should explore ways to support poor countries tackle. “It is one thing developing a prototype but ensuring it reaches the market is not easy. There is a big gap between innovators and the market in Kenya and it requires bridging,” he said. Moreover, he explained, inventors should not be lumped together as they come in categories with different needs. 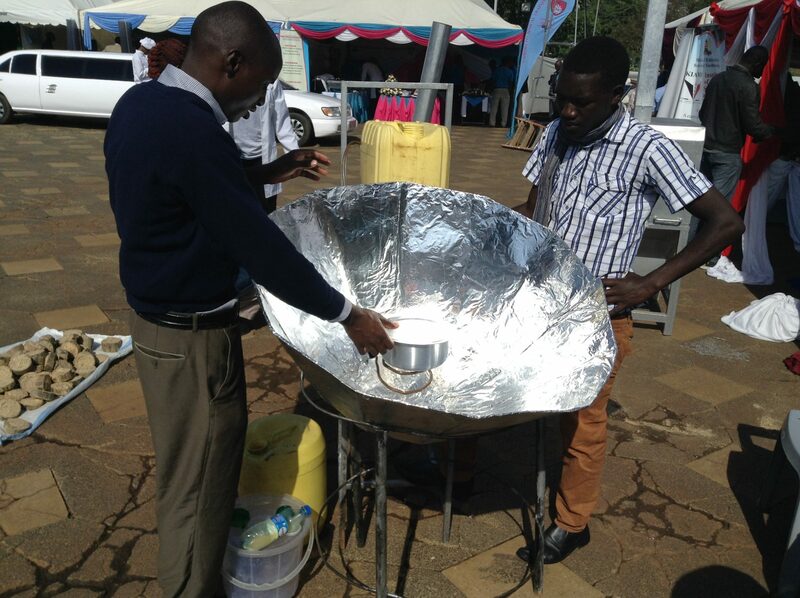 Rural inventors in poor nations like Kenya are left to their own devices, yet their innovations are tackling problems affecting communities. According to Kibiru, reaching out to innovators at the grassroots level far from cities is important. This, he said, is because rural areas are key markets for many of the emerging innovations such as renewable energy. Kibiru at the same time added that rural innovators should be sensitised about existing opportunities for patent protection. Focus should also be directed to inventors whose products and services fall in the category of the informal sector, he said. The informal sector innovators which he refers to as ‘frugal innovators’ should be supported to achieve standardisation of their innovations. “For how long will this innovative group of people going to remain informal?” he posited. Still on the informal sector, he emphasised that indigenous knowledge evidenced in spheres such as herbal medicine should in the same vein be protected against raising biopiracy. “I hope IAP will address this issue. In Kenya, inability to document natural forest products used by communities as medicine and lack of policy in exploiting them is contributing to biopiracy and other forms of IP abuse,” Kibiru said. The IAP, he said, should equally enhance collaborations that stir up innovations in poor countries whose output is dwarfed by that of their developed counterparts. According to Kibiru, successful innovators who have patented their innovations should serve as role models and share their experiences with upcoming ones to stimulate their participation in research. “This has a multiplier effect and ensures continuity,” he said. He concluded that NACOSTI supports any effort that can enable Kenyan innovators go beyond prototypes and ensure commercialisation of their inventions. Thus, he added, a successful implementation of the IAP locally will complement their efforts. Justus Wanzala may be reached at info@ip-watch.ch. "Message To WIPO: Here’s The Assistance We African Inventors Really Need" by Intellectual Property Watch is licensed under a Creative Commons Attribution-NonCommercial-ShareAlike 4.0 International License.